"Be excellent to each other, and party on dudes" - Bill and Ted, possibly philosophising on the best way to share an office with others. 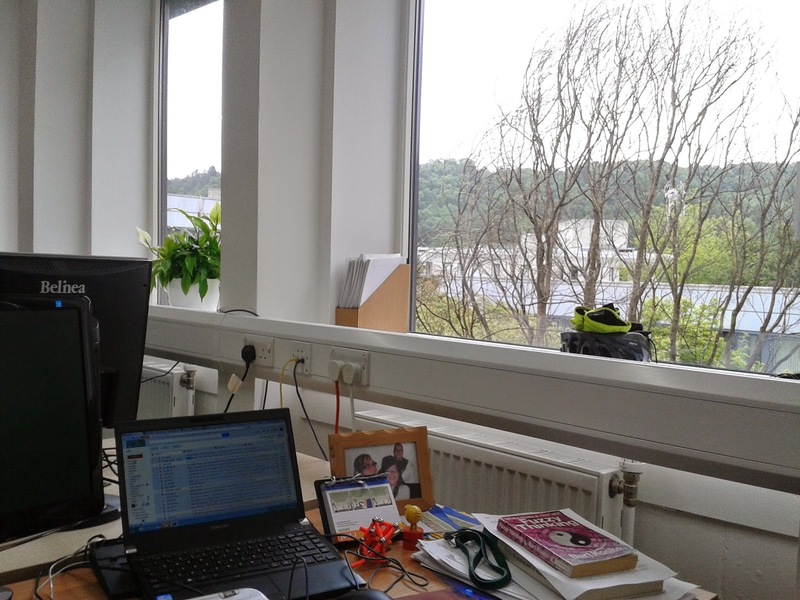 I've been somewhat well-off for a mere researcher over the past few months, having to share a good-sized room with only one other person (in many universities it's common for even fairly senior academics to share an open plan office: Stirling is quite generous in this respect). It helps that I was sharing with the highly respectable Michael, with whom I got on very well. However, my research group has been growing rapidly over the last year. 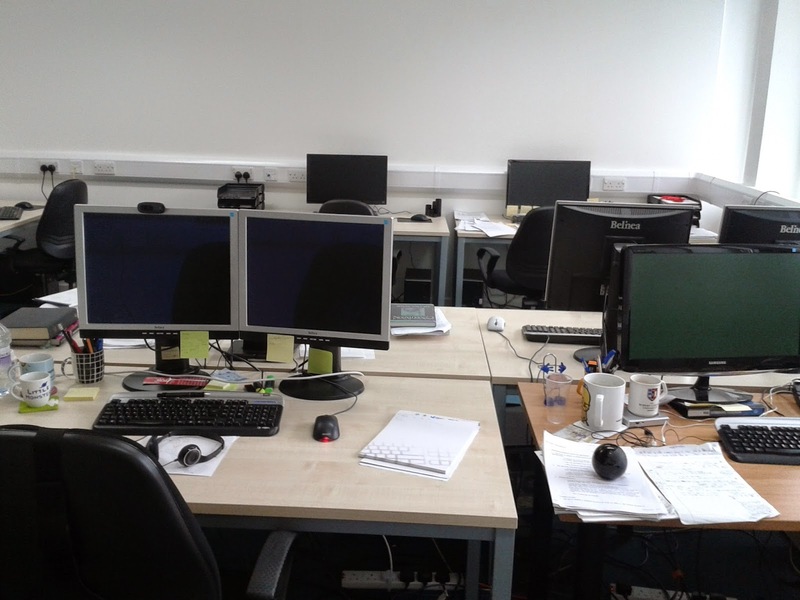 So the department (well, division, technically) has a bit of a space problem. 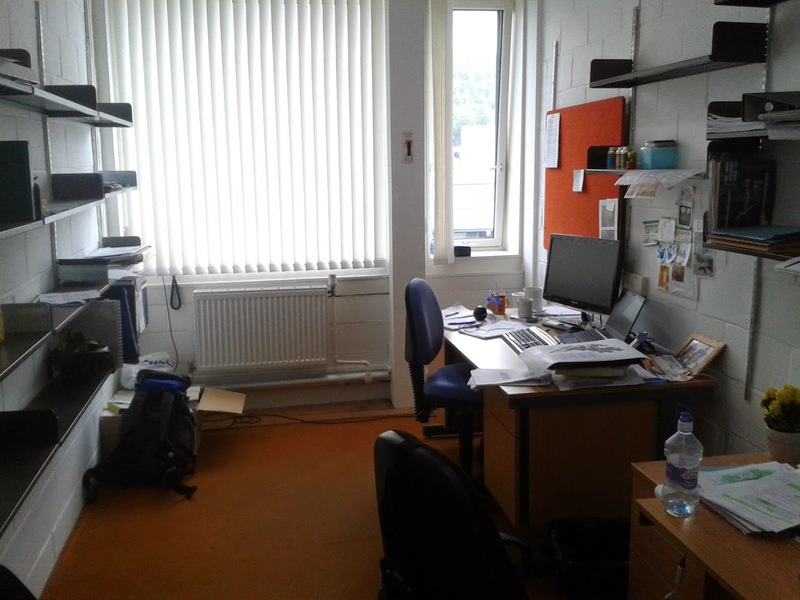 In order to create some more seminar space, some PhD students and a prof have been moved so their rooms can be knocked in to one. 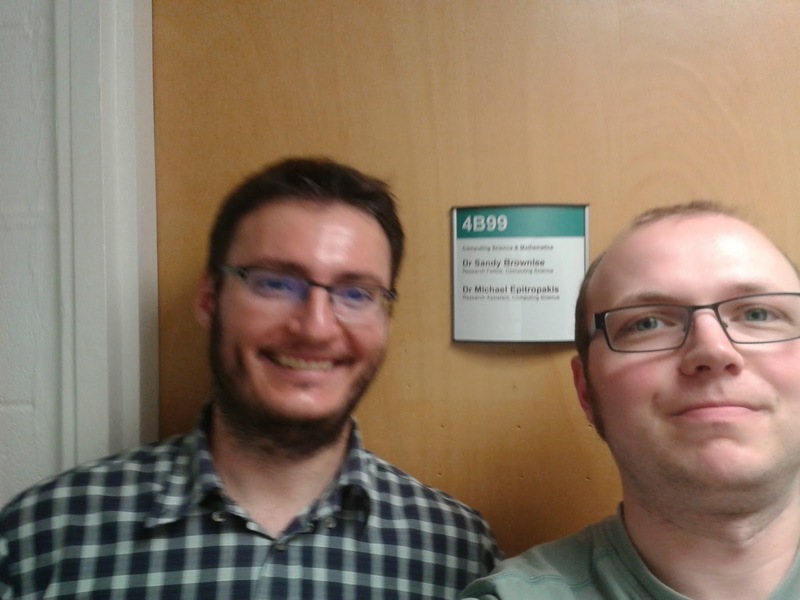 The three (and possibly a fourth) students have been put in to my old room, and Michael and I now join the other research assistants in the group in Room 4B69 (hence the Bill & Ted reference above). 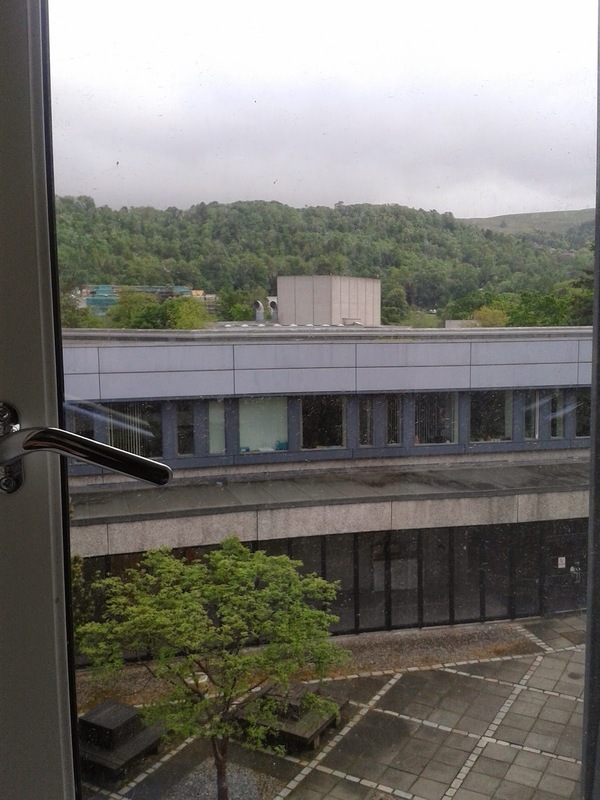 After 101 and 99 I am now on my third room at Stirling in a year. I now technically share with 6 other people (all talented and generally quite nice), although thanks to home working and travel it's unusual for more than half of them to be in at any one time, so it's pretty peaceful anyway. Ignoring room 99 it's also still the smallest office (in terms of people) I've ever been in. I also won the coin toss for the better seat of the remaining two so I have that to be grateful for! My old office. My desk is next to the window, with all the junk on it. The new pad. The mess bottom right is mine. My new view. A good deal nicer!